In addition to tattooing Larry creates in other mediums such as oil paint and acrylics, sculpture, pastels and many others. He sells original artwork and high quality Giclee prints that are available through our website. 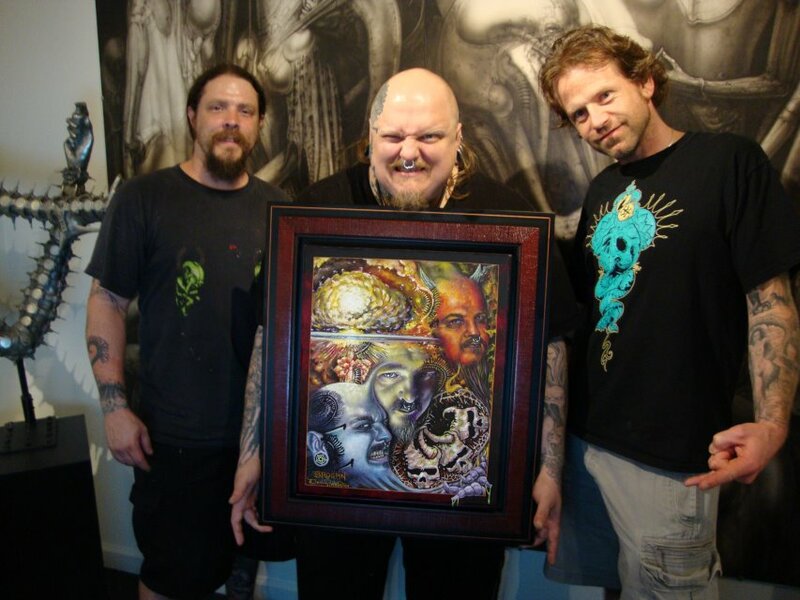 Darrin White and Larry Brogan presenting their painting "3 Sixes" to Paul Booth.